A new mobile Chip & PIN payment service, Kalixa Pro, has launched today to enable small businesses, sole traders and mobile workers to accept face to face card payments from customers on their smartphone. 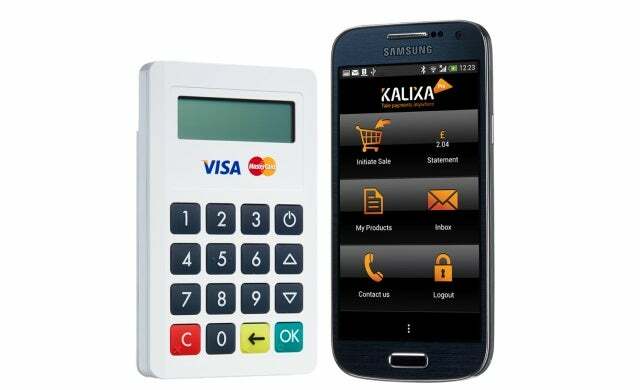 Created by financial technology (FinTech) company Kalixa Group, the mobile point of sale (MPOS) solution operates via a mobile app, available on Android and iOS, which it combines with a Chip & PIN reader to enable the user to take card payments from Mastercard, Visa and Maestro within “just a few taps”. The service, which has no annual or monthly contract fees, operates on a pay as you go basis with a flat rate 1.99% transaction fee and settlement and access to cash available within three working days for £59.99 + VAT. Intended to help small and medium enterprises improve their cash flow and increase sales, the device also houses additional features such as updates as and when payments take place and app functions to provide discounts, refunds and email receipts. The launch builds on recent research commissioned by Kalixa which found that up to 70% of small businesses don’t currently accept debit or credit card payments with a suggested 423,000 companies missing out on sales as a result. “The UK’s sole traders and small businesses are getting a rough deal from banks today to take card payment; with high prices, poor service and delayed settlement leading to real problems with cash flow. “As a result they’re not accepting cards and are missing out on sales. We listened to what small businesses need and have launched Kalixa Pro, which will provide these businesses with a game changing payment service designed to help solve the cash flow challenge and enable increased sales.